Your Forest. Managed. Public information campaign about and for the private owners of large forested acreage tracts. 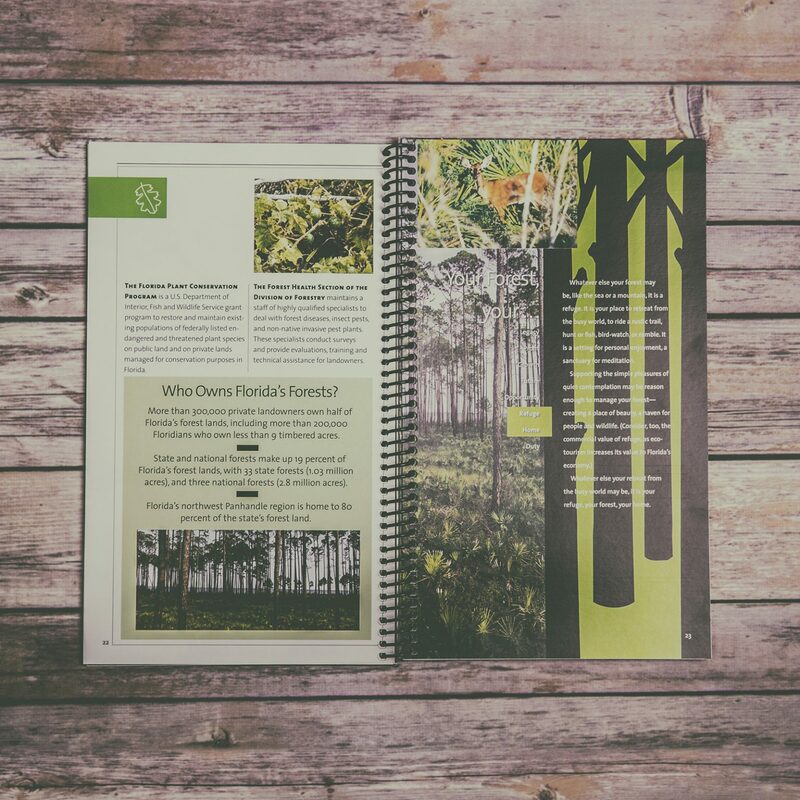 : Kidd Group developed a statewide campaign promoting sound forest management on private, non-industrial land. 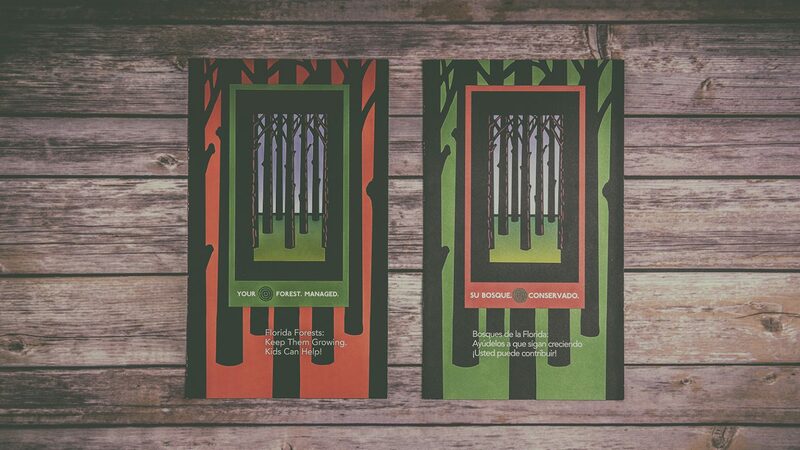 This included support and awareness in both rural and urban forests / wooded areas and centered around a direct theme identity: Your Forest. Managed. Campaign components included a comprehensive landowner handbook, and general information brochures for the public and K-12 students. All materials were translated and produced in Spanish. Tabletop displays were designed and produced for each of the state’s 47 county foresters to use in presentations with landowners. 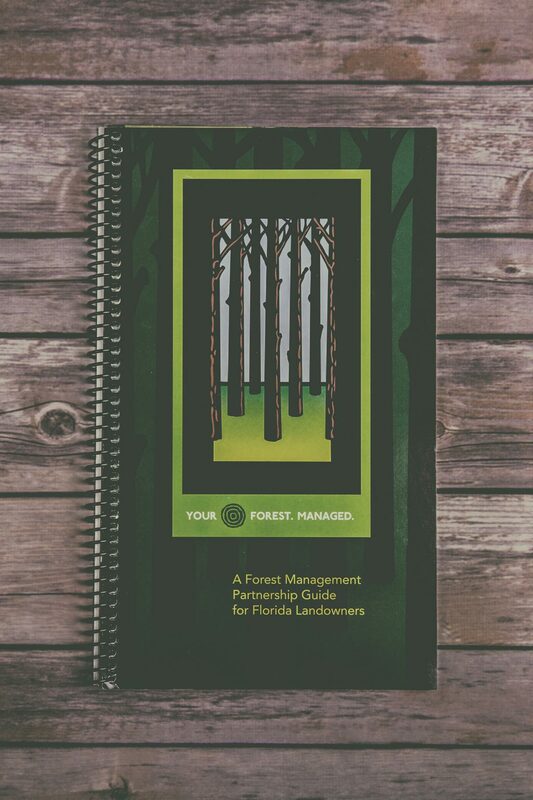 A dynamic 10-minute video explained to landowners the importance of sound forest management and the role of the county forester in their forest management plan. This campaign was coupled with a comprehensive outreach and awareness effort. Media advisories and press materials were sent statewide for the kick-off event and ongoing support. This public awareness outreach effort secured strong media coverage in every major media market – including all strategic rural marketing far exceeding campaign goals. The Department of Agriculture was extremely pleased with this effort and County Foresters had a 30 percent increase in calls for assistance from forestland owners. The campaign was also recognized with multiple ADDY awards for the design of the program’s logo, brochure and website. The campaign was also recognized with a Golden Image Award and the Award of Distinction from the Florida Public Relations Association for the public relations media advisory kit.